PAYTM which was launched in August 2010 as a mobile wallet has now entered into e-commerce domain. Today it is a popular platform for shopping and sellers are also enjoying the ease of doing business on getting registered on Paytm as online sellers. 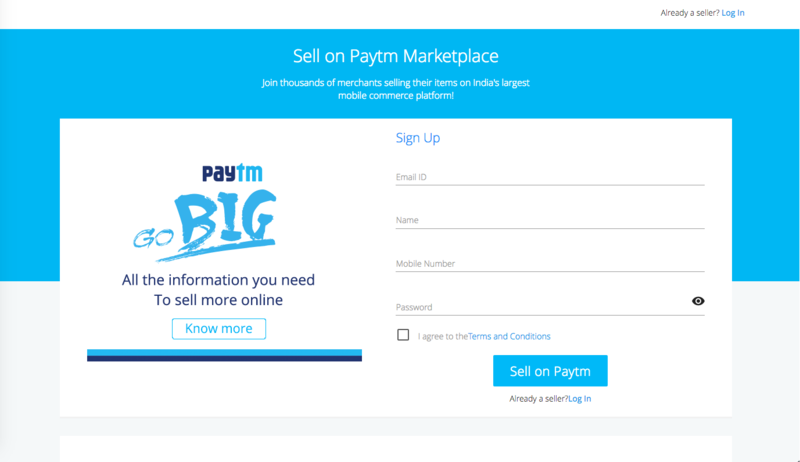 Who can become a Paytm seller? A Cancelled cheque of the account on which the payments are going to be received. Once all these steps are completed, the seller can start selling the products. As and when the goods are sold, you will get an email confirmation. Platforms like Paytm are helping businesses of all sizes to grow and not remain limited to geographical boundaries. ClearTax can help you get your business ready with its wide range of services like business registration, GST services etc.